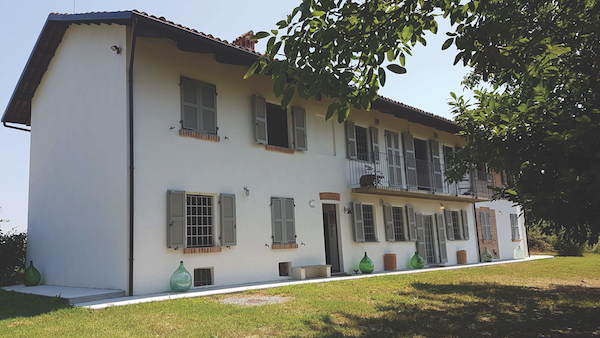 216 sqm farmhouse high in the Monferrato hills with views over rolling vineyards and the Tanaro river, and within walking distance of the village. Recently renovated to high standards; the current owners have created a light, delicate habitation. The ground floor is open plan with a spacious kitchen to one side, the dining area in the middle and the lounge with fireplace to the other side; also music/TV-room, bathroom and utility room. Upstairs, four bedrooms, one en-suite, a separate bathroom and panoramic balcony. 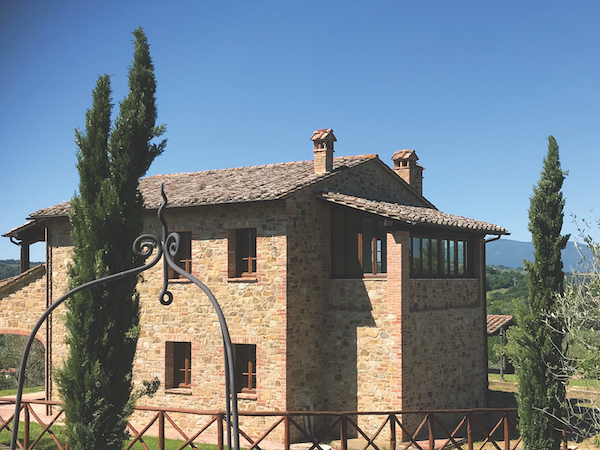 A cantina with vaulted ceilings completes the traditional casale. Adjoining land is 6,590 sqm. Our ref: CM-813.